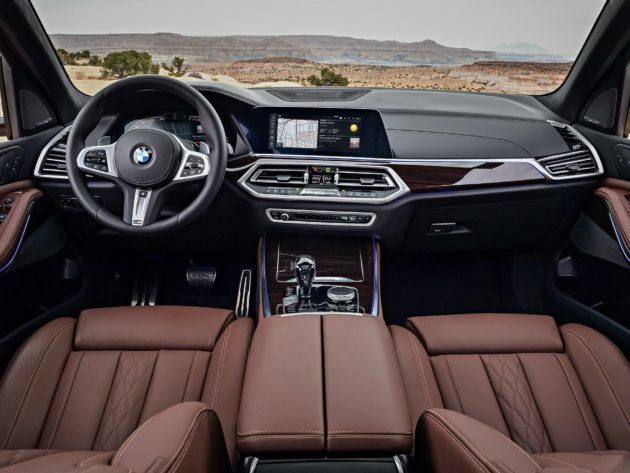 Although rumored to be released at the Paris Motor Show 2018 next October, BMW's official website has released images of the new BMW X5. At a glance BMW X5 is a fresh player with a distinctive style of BMW that is still maintained, how complete the details of this car? 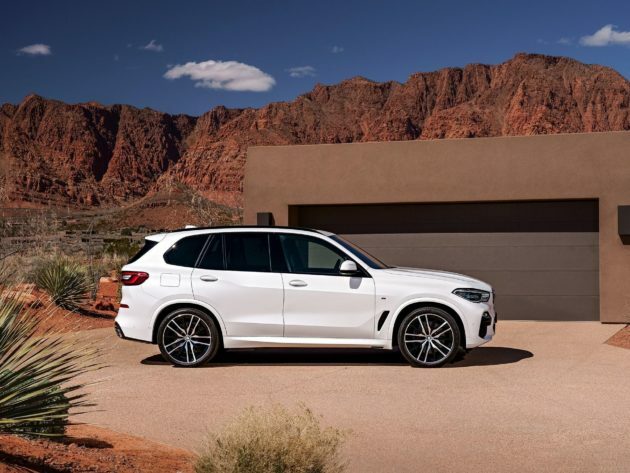 The latest BMW X5 has an exterior language that is a blend of X3 and also X7 concept where this design makes it look sturdy, authoritative but still compact. Technical specifications of this car was exterior is more swollen than before. In detail the length of this car is 4.945 mm longer 36 mm, width 1791 mm wider 66 mm and height 1779 mm higher 19 mm from the previous generation. Wheelbase was stretched as much as 42 mm. With a larger body-based CLAR or cluster architecture and design a new suspension, this car actually getting lighter as much as 200 kg, hmm .. about equal to 3 people woow.., quite a weight reduction. Meanwhile in terms of machines, there will be many options for you. From 2,000 cc petrol engine, 3,000 cc 6 cylinder, 4,400 cc 8 cylinder and 2,000 cc diesel and 3,000 cc 6 cylinder. For the M series certainly they are also present and rumored to be the greatest power for the series M is 592 hp with 4.400 cc engine 8 cylinder it. How do you think the design of this new BMW X5? In terms of interior is still in line with other BMW, nothing is so special. What do you think about this car? 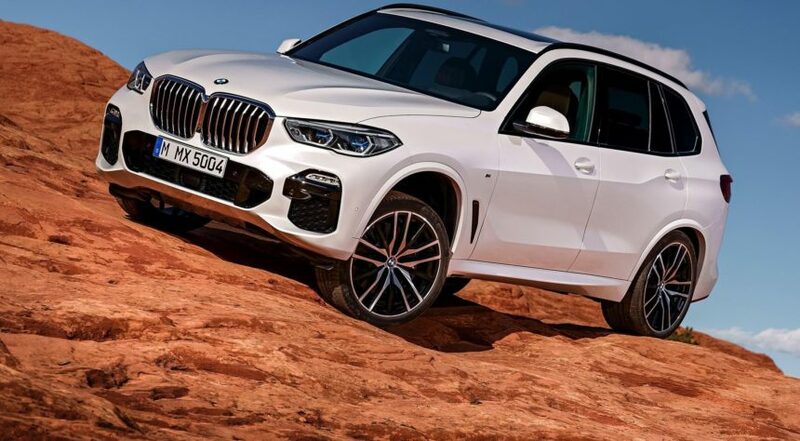 Hopefully this time the double kidney grill BMW version does not look like the animal's nose ..
0 Response to "BMW X5 2019 Officially Announced to Crowds"